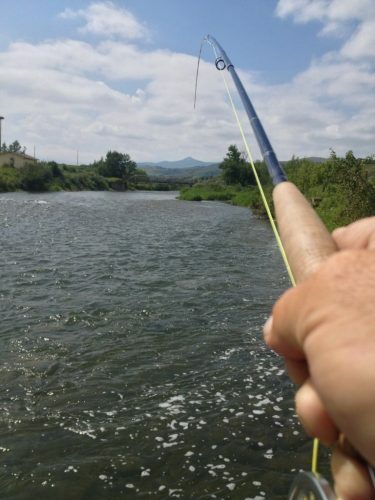 The Crowsnest River is primarily a rainbow trout fishery, located in southern Alberta 2 hours from Calgary and 45 minutes from Fernie, B.C. 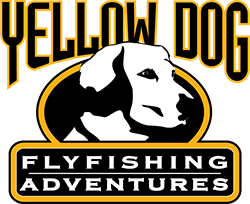 The best time to fly fish the ‘Crow’ is from late June thru to October. If the Bow River enjoys the reputation of being the number one fly fishing destination in Alberta, the Crowsnest is a close second and for good reason: this remarkable little river has a rainbow trout population of 1500 per mile – an incredible number considering the size of this smaller river. The Crow, as it’s commonly known, originates on the east slope of the continental divide, then flows east for about 25 miles before joining the Oldman River above Three Rivers Dam. The Crowsnest River has fantastic hatches of a variety of stoneflies (including Golden and Salmon) and numerous mayflies, caddis and midges. 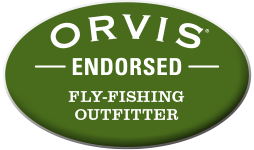 Depending on the time of year, your fishing will focus on matching these aquatic insects. In other words, the Crowsnest River is a relatively technical stream that fishes more like a tailwater than a freestone river. “Matching the hatch” is the mainstay on the Crownest River and during the summer months. 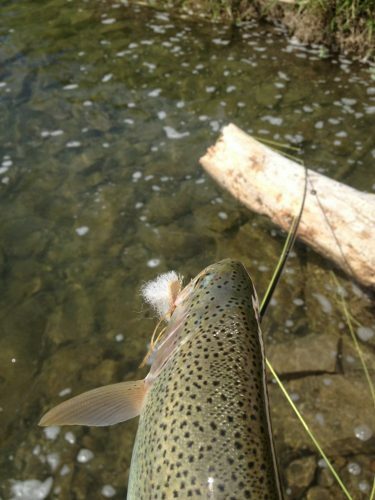 Fly-Fishing the Crowsnest River with hopper patterns can be spectacular! 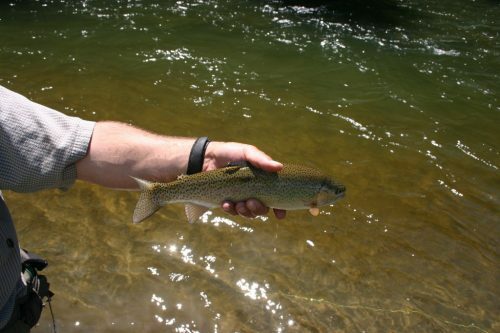 The Crownest River’s rainbows average 15 inches and it’s not uncommon to see trout above the 20” mark. The Crow’s character lends itself to sight fishing for large fish stacked up in reverse currents and seams. Countless high banks also provide plenty of ideal holding structure. 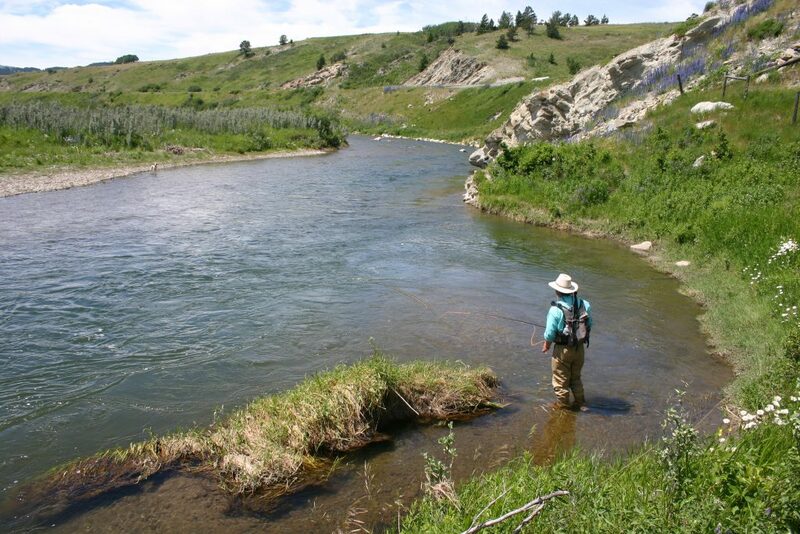 The Crownest River has sections that are open to fishing year round, but we’ve found the best time to Fly-Fish the Crowsnest River is from late April to runoff (usually late May thru early June), then from mid-June thru July. Things typically slow a bit in August, but quickly pick up again come September and into October, when fall hatches are furious and the fishing outstanding. 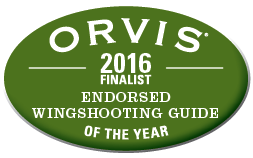 We suggest Fly-Fishing the Crowsnest River with one of our Crowsnest River Fly-Fishing Guides for 2 days. 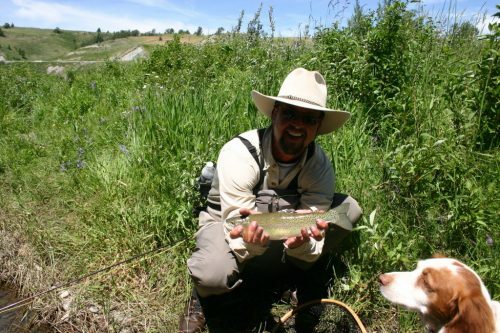 Keep in mind that it is a walk & wade stream with high trout densities, so you can spend a very productive day without covering much water. 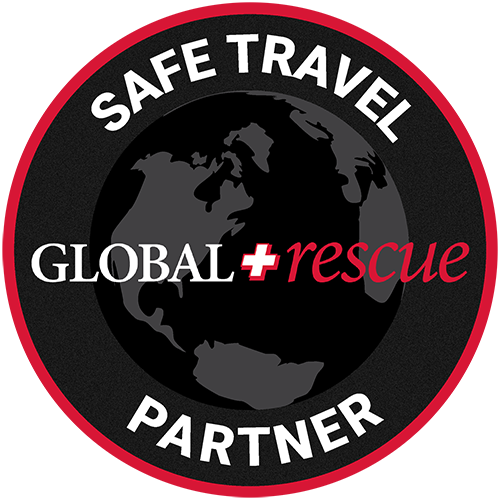 We also offer day trips to the Crowsnest River from Calgary & the Bow River or Fernie & the Elk River. 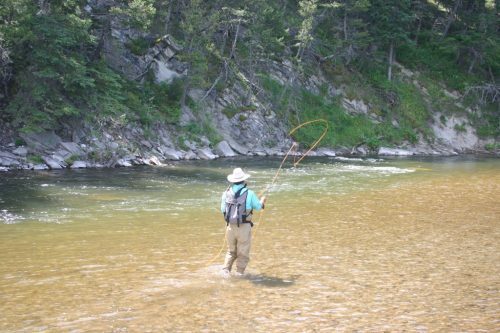 The Crow is close to a number of good south-western Alberta trout streams, including the Oldman, Castle and Waterton Rivers. There are many small streams in the area and the Elk River is a 45 minute drive over the divide. A Guided Crowsnest River Fly-fishing trip can also be an option or included on a Bow River trip. 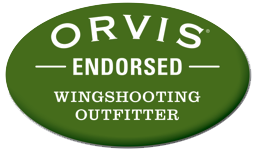 The Dave Brown Outfitters Advantage: We’ve been fly fishing the Crowsnest River for a long time. It’s a favorite river for many of our Fly-Fishing Guides on their day’s off as it is close to the Kootenay Fly-Shop and Fernie BC. Some of our staff were born and raised along the Crow, so you can count on our “local” knowledge and judgement!